“Connection Service helps enhance the airport experience for our customers travelling on Star Alliance itineraries by streamlining the behind-the-scenes processing when handling tight connections which may arise. This further strengthens the position of our Toronto Pearson global hub offering convenient connections to almost anywhere in the world,” stated Benjamin Smith, President, Airlines and Chief Operating Officer at Air Canada. Star Alliance has been operating Connection Centres for more than a decade. In place at 11 hub airports, these have largely been working behind the scenes on expediting checked bags at risk of missing their onward flight. In addition, assisting passengers with tight connections was an additional service offered in Frankfurt, Houston and Munich. As part of the Alliance’s strategy of further improving the customer journey, the Star Alliance Connection Service brand was rolled out last year, along with the plan of adding passenger assistance at all locations and expanding the overall product to more locations. In order to increase the awareness of this service, Star Alliance is currently running a multi-channel marketing campaign. The centrepiece is a short entertaining film which illustrates the product’s benefits. A press ad, a wide range of social media assets and a dedicated web presence on connection service round off the campaign. The content will be broadcast in the Alliance’s owned channels, as well as across the member carriers’ own outlets and via local market sales channels. Photos: Air Canada and Star Alliance. This entry was posted in Star Alliance and tagged Star Alliance on July 25, 2018 by Bruce Drum. He began by reminding the audience that Star Alliance had undertaken a shift in its strategic focus from membership growth to improving the seamless travel experience, especially for those customers who fly on multi-carrier journeys. Having control over their journey at their fingertips is of high importance to many travellers. Hence, harnessing digital technologies to provide a better and digital travel experience lies at the heart of this strategic repositioning. “At Chief Executive Board Meeting the member carrier CEO’s re-affirmed the shift in strategy and endorsed the Alliance’s plan to enable more interconnectivity between the digital services of the member airlines to elevate the customers’ Alliance travel experience”, commented Goh. This entry was posted in Star Alliance and tagged Star Alliance on June 5, 2018 by Bruce Drum. Star Alliance member carrier LOT Polish Airlines hosted the mid-year Chief Executive Board (CEB) Meeting during which the member carrier CEOs endorsed enhancements to further improve the network travel experience offered to customers and gave the go-ahead for the inclusion of a new member in Brazil. As hosting carrier, LOT outlined its new strategy – a new LOT in a new Europe – under which it plans to double in size over the next five years. In addition to three new connections to Asia – Tokyo, Seoul and Bangkok – it plans more than a dozen new European routes. Announcing the most dynamic growth in the company’s history, LOT said it was competing for leadership in the region and aimed to become the largest network carrier in New Europe. In their joint discussions, the CEOs reaffirmed the objectives set out by the Alliance’s founding fathers more than 18 years ago, agreeing to continue to build on its key strengths – a global network, a high standard of customer service and making use of modern technology to drive business strategies. Star Alliance’s aim at launch in May 1997 was to become the leading global airline alliance for the high value international traveller and contribute to the long-term profitability of its member airlines beyond their individual capabilities. “As a mature Alliance with a comprehensive network and good, close relationships between our member airlines we are excellently placed to offer continuous enhancements in various ways that together improve the Alliance travel experience,” said Star Alliance CEO Mark Schwab. Avianca in Brazil will be added to the network as of July 22nd this year, allowing Star Alliance once again to offer its customers domestic flights in Latin America’s largest and most important market. 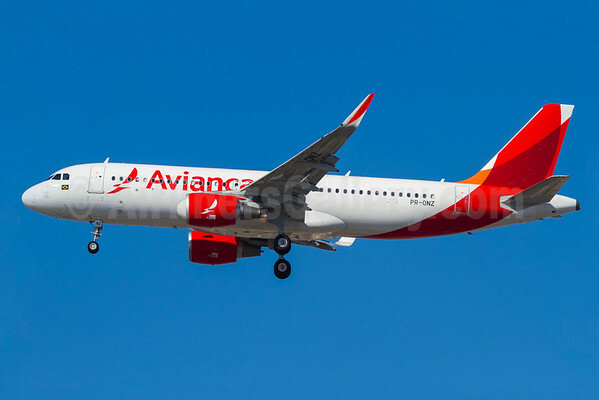 “We are delighted that we can include Avianca in Brazil as of next month, which, together with various new hub-to-hub services announced by individual members, signifies that we will boost network connectivity this year,” Schwab added. 2015 has already seen a steady stream of route additions and more new routes will be introduced by the end of the year. These include for example further increasing choice at the Alliance’s Houston hub, with new long-haul flights by Air New Zealand, ANA and EVA Air from Auckland, Tokyo and Taipei. Air China has launched a new flight between Beijing and Montreal while Air Canada will start flying from Toronto to Delhi in December. A new Lufthansa flight from Frankfurt to Panama will establish an important link between a major hub in Europa and Latin America from late November. Complementing the network expansions, member carriers are deepening their bilateral cooperation by signing code-share agreements. Recent examples include Air India and Air New Zealand, Air India and Avianca, Copa and TAP and EVA Air and Turkish Airlines. In parallel to this organic network growth, the Alliance continues to monitor market developments and will seize opportunities for membership expansion if and when they arise. With customer service improvement at the very heart of its activities, the member airlines are continuously looking for joint initiatives that will deliver a better experience – in many cases by introducing new behind the scenes technology to improve transactions between the carriers. The most recent example of how such background changes can bring visible change for customers is demonstrated by Star Alliance’s award- winning home in London Heathrow Terminal 2, now one year old. The Queen’s Terminal, formally opened on June 23rd, 2014 by H.M. Queen Elizabeth II, uses new technology and processes that allow airlines to work together in its check-in hall, providing a highly automated and efficient service. Customer feedback on the new terminal has been extremely positive. Dialogue with airports is essential in realising ground service improvements. “We would ask airports around the world to engage with us at a very early stage, as they redevelop terminals or build completely new infrastructures. As the experience at Heathrow shows, this can bring advantages for all,” Schwab said. Projects are already under way at Sao Paulo – Guarulhos Airport as well as at Tokyo’s Narita Airport. In both cases the check-in halls face space constraints which cannot be resolved by expanding the current infrastructure. Another service which is currently being rolled out across the network is Gold Track Security – a dedicated security lane for First and Business Class passengers as well as Star Alliance Gold Card holders. This Alliance product is currently available at over 25 major airports and will progressively expanded to the majority of Star Alliance hubs during the course of the year. The CEOs also reviewed the successful implementation of several new IT systems. These use latest technologies to provide a more reliable and faster service, with better reporting systems in place to diagnose any errors and allow them to be quickly fixed. An IT hub infrastructure forms the backbone for the majority of the systems required to deliver the Alliance customer promise. This has gradually being extended to handle different forms of business logic and further similar projects will follow. Examples to date include through check-in: which allows passengers to receive their boarding passes for their entire trip from the first point of check-in. Last year saw the introduction of two systems in the field of loyalty programmes. The one allows faster and better exchange of the frequent flyer data, with the aim of all but eliminating the need to manually claim miles after a flight. The other system ensures the faster communication of status changes across all airlines in the Alliance, allowing customers to make use of their Gold benefits even before a new card is issued. In closing, the CEOs reiterated that while adding new members to the Alliance no longer is of the same importance as some years ago, the Alliance business model continues to offer many opportunities for creating additional value for their individual companies. As a consequence, Alliance membership remains an important and integral part of individual member’s business plans, with each airline being able to decide how much value they wish to extract from their Alliance membership. Copyright Photo: Rodrigo Cozzato/AirlinersGallery.com. Avianca (Brazil) (OceanAir Linhas Aereas) Airbus A320-214 WL PR-ONZ (msn 6110) with Sharklets arrives ath the Sao Paulo (Guarulhos) base. This entry was posted in Avianca (Brazil), Star Alliance and tagged 6110, A320, A320-200, A320-214, Airbus, Airbus A320, Airbus A320-200, Avianca (Brazil), GRU, Guarulhos, PR-ONZ, Sao Paulo, Star Alliance on June 24, 2015 by Bruce Drum. The first phase of the rebuilding of Terminal 2 at London’s Heathrow Airport (LHR) opened today (June 4) for the Star Alliance. United Airlines operated the first flights from the new T2. The new Terminal 2 – the home of Star Alliance at Heathrow – threw open its doors to welcome its first passengers, marking the start of a new travel experience for the 12 million Star Alliance passengers who pass through this leading UK airport every year. Star Alliance member airline United is the first to move in to the new facility, known as Terminal 2 | the Queen’s Terminal for her Majesty Queen Elizabeth II. The first flight to arrive at the new terminal was United’s service UA 958 from Chicago, which landed at 05:43 local time and reached gate B38 at 05:49, six minutes ahead of schedule. 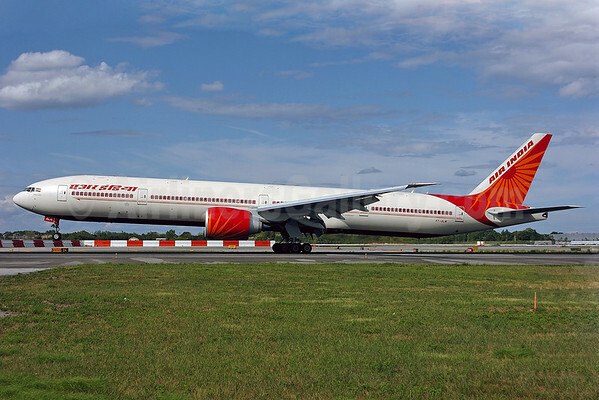 The Boeing 767-300 had 178 passengers and 11 crew on board. 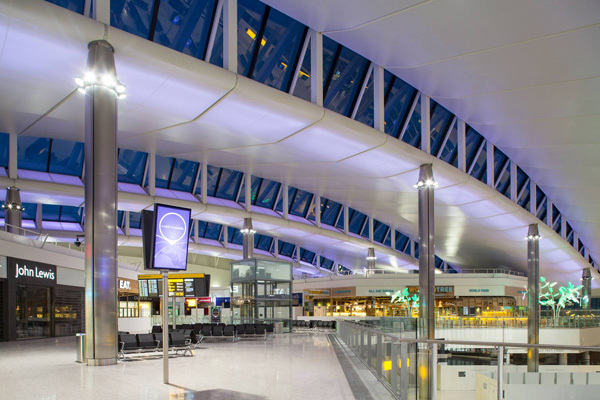 Terminal 2, designed by lead architect Luis Vidal, was jointly developed by Heathrow, Star Alliance and its member carriers, with the aim of establishing a true seamless hub at one of the world’s premier international airports. Optimised for today’s air traveller, the facilities of the 23 Star Alliance airlines are integrated to an unprecedented level – laying the groundwork for customer service excellence. Once all airlines are in residence, connections for transfer passengers will be smoother than ever before at Heathrow, with a standardised minimum connection time of just 60 minutes. Move dates for the remaining 22 airlines have been carefully planned to ensure that each group of airlines has time to embed its operations before the next set of carriers moves in. Air Canada, Air China and ANA will be the next new occupants, transferring their operations to T2 from June 18th. In July, Aegean, EVA Air, THAI, and Turkish Airlines will move in, together with Avianca – which will launch a service between London and Bogota on July 4th. After a break for the European summer holiday period, moves will resume in September with EGYPTAIR, Ethiopian Airlines, Scandinavian Airlines and Singapore Airlines. Then finally, October sees the arrival of Air New Zealand, Asiana Airlines, Austrian, Brussels Airlines, Croatia Airlines, LOT Polish Airlines, Lufthansa, South African Airways, SWISS and TAP Portugal. A positive tone for the passenger journey is set by the architectural design of the terminal, which uses natural light to create an open and airy atmosphere. Its open-plan check-in facility is directly adjacent to the security area. Passengers exit security on the top level of a two-tier international departures hall, with a clear view out onto the airport. This is just one example of the logical passenger flows that underpin the terminal’s design. Departing and arriving passengers pass through the building on different levels, guided by clear signage. Transfer passengers follow a separate channel from the arrival gate to security and then join the departing passengers flow. Technology is integrated into the terminal experience and will be used throughout to give the passenger control of their journey. The check-in area has been specially designed for speed and efficiency. Airlines are grouped in zones, while a row of 81 common use self-service kiosks can be used by any passenger to check in and/or print a bag tag before they proceed to a bag drop desk to hand their luggage to an agent. Full-service traditional check-in desks are provided for the use of First Class, Business class and Star Alliance Gold passengers. Premium passengers also have a fast-track option to speed them through the security checks. Eight out of 12 gates at the T2B satellite will allow self-boarding, meaning passengers simply pass through a mechanical barrier to board their flight. Four airline lounges will be available for premium passengers, including those with Star Alliance Gold status. These are located in the main terminal building and the satellite, so eligible passengers can relax close to their gate. The 23 Star Alliance airlines serving Heathrow are Aegean Airlines, Air Canada, Air China, Air New Zealand, ANA, Asiana Airlines, Austrian, Avianca*, Brussels Airlines, Croatia Airlines, EGYPTAIR, Ethiopian Airlines, EVA Air, LOT Polish Airlines, Lufthansa, Scandinavian Airlines, Singapore Airlines, South African Airways, SWISS, TAP Portugal, Turkish Airlines, THAI, and United. Together they operate over 121 flights per day to 45 destinations in 25 countries. Each of these flights acts as a gateway to the full Alliance network of more than 18,000 daily flights to 1,269 airports in 193 countries. The strong Star Alliance hub at Heathrow is expected to act as a catalyst for growth in global passenger traffic to London and to increase the attractiveness of Heathrow as an international transfer airport. It will enhance Heathrow’s standing for the truly frequent international traveller. United Airlines today (June 4) became the first airline to operate a flight at London Heathrow Airport’s new Terminal 2: The Queen’s Terminal. United flight UA 958, a Boeing 767 from Chicago, arrived at gate 38B at 5:49 a.m. local time. United flight 958 was the first of United’s 17 scheduled flight arrivals at Terminal 2 today. The airline also is scheduled to operate 17 departures from the terminal today, bringing all of its operations at Heathrow – previously split between Terminals 1 and 4 – “under one roof” for the first time. Copyright Photos: London Heathrow Airport and the Star Alliance. This entry was posted in Star Alliance, United Airlines and tagged LHR, London, london heathrow, london heathrow airport, Star Alliance, T2, Terminal 2, United Airlines on June 4, 2014 by Bruce Drum. Founded just over 16 years ago, Star Alliance has progressively built its presence in Asia/Pacific and now has eight member carriers based in this region, which continues to show a growing demand in air travel, posting 5.2% growth in 2012. At present, 19 Star Alliance member airlines operate more than 4,000 daily flights to, from and within the Asia / Pacific region, serving 280 airports in 44 countries. Star Alliance was founded with the mission of providing seamless global air travel for the high value international traveller. 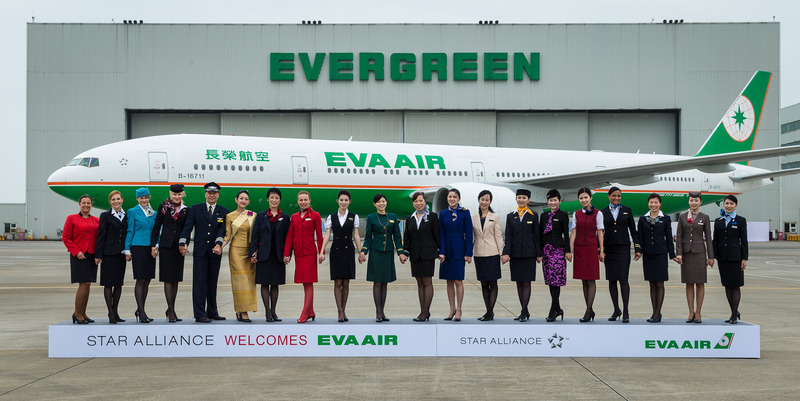 EVA Air’s customers will now have access to a global network of 28 airlines, operating more than 21,900 daily flights to 1,328 airports in 195 countries. In addition to bringing Kaohsiung in Taiwan and Surabaya in Indonesia as unique airports to the network, EVA Air expands the Alliance’s presence on the important Cross-Straits market, which has grown from an annual passenger volume of just over 3 million in 2009 to around 9 million in 2012. Moreover, Taiwan’s geographic location is such that it has the shortest average distance to all major cities in the Asia-Pacific region, making Taiwan’s Taoyuan International Airport an important hub in the region. In total, Star Alliance now offers 10 hubs across Asia / Pacific: Tokyo – Narita and Haneda, Seoul – Incheon, Beijing, Shanghai – Pudong, Taipei – Taoyuan, Shenzhen, Bangkok, Singapore and Auckland. Top Copyright Photo: Star Alliance. The flight attendants (in their uniforms) of the member airlines welcome EVA Air at Taipei. Bottom Copyright Photo: Yuji Wang/AirlinersGallery.com. 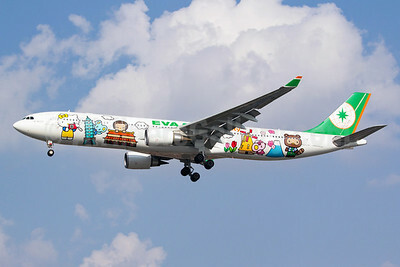 EVA Air is a big corporate sponsor of the Hello Kitty cartoon series and brand created and owned by the Japanese company Sanrio. The third Hello Kitty logojet, in the form of Airbus A330-302X B-16333 (msn 1274) prepares to land at Shanghai (Hongqiao) (please click on the photo for the full-size view). This entry was posted in EVA Air, Star Alliance and tagged 1274, A330, A330300, A330302X, Airbus, Airbus A330, Airbus A330300, B16333, EVA Air, Hello Kitty, Hongqiao, SHA, Shanghai, Star Alliance, star alliance member, star alliance member airlines on June 18, 2013 by Bruce Drum.